Antique 10ct. 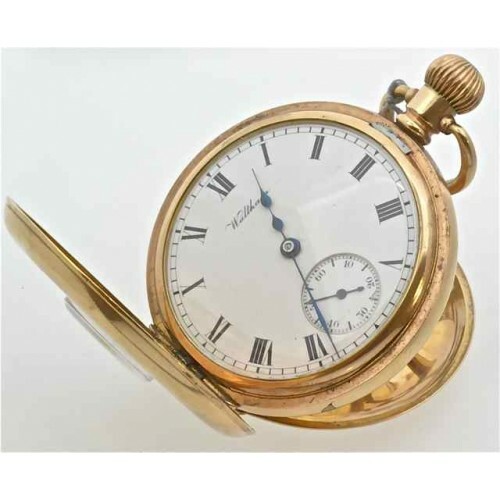 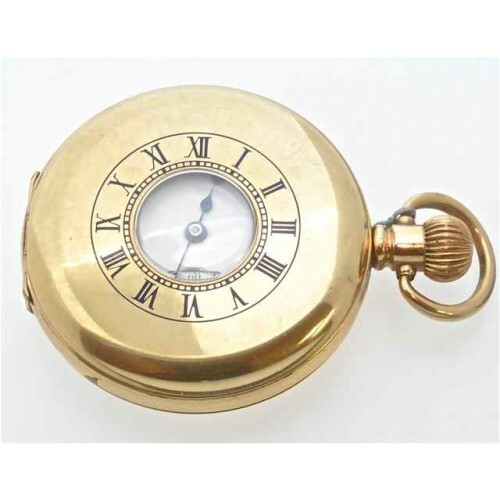 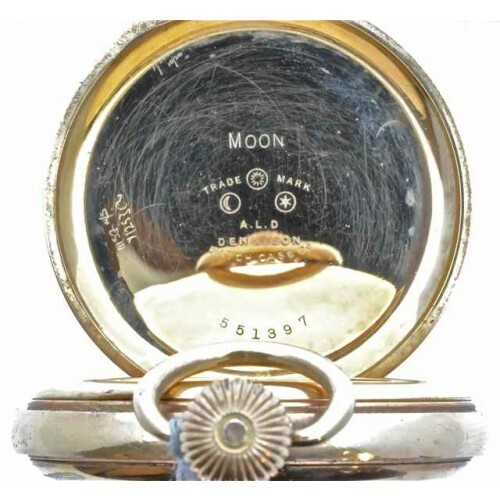 gold plated demi-hunter pocket watch, with blue enamelled Roman numerals on the outer case, Porcelain dial with black Roman numerals, a seconds hand face, iridescent blue hands. 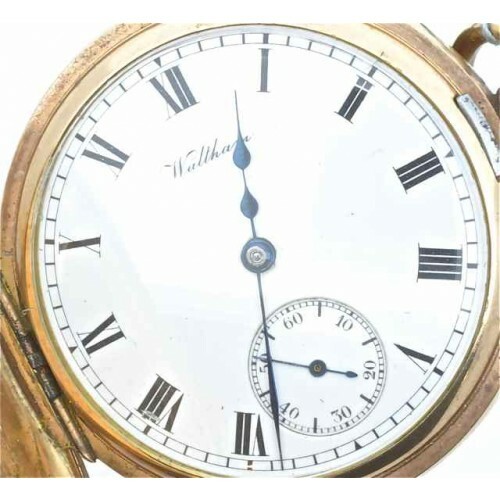 Waltham movement, jewel lever. 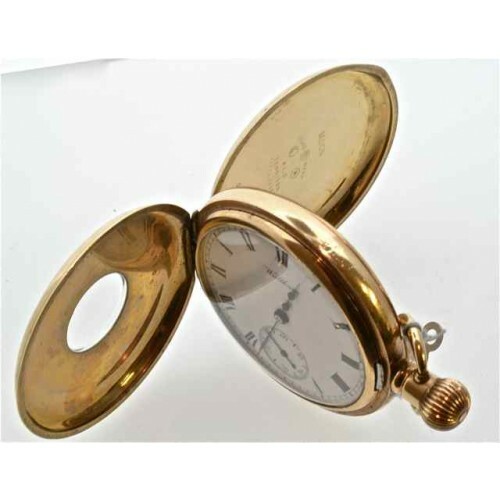 Dennison watch case, dust cover also. 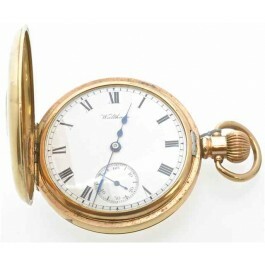 In mint order and condition.